This post is part of a social shopper marketing insight campaign with Pollinate Media Group™ and Jimmy Dean, but all my opinions are my own. #pmedia #RedboxBreakfast http://cmp.ly/3/8vNxcO. I’ve been trying so hard to get everything in order before Toasty comes. I can’t believe I’m already 37 weeks. Like they don’t worry at all if I go into labor any more 37 weeks. It has gone fast! I’ve always struggled with breakfast but as I’ve been trying to use all my time and energy to it’s fullest I keep finding myself looking at the clock and it being 1 pm and I’ve only had juice. I really need some easy and satisfying breakfast options. 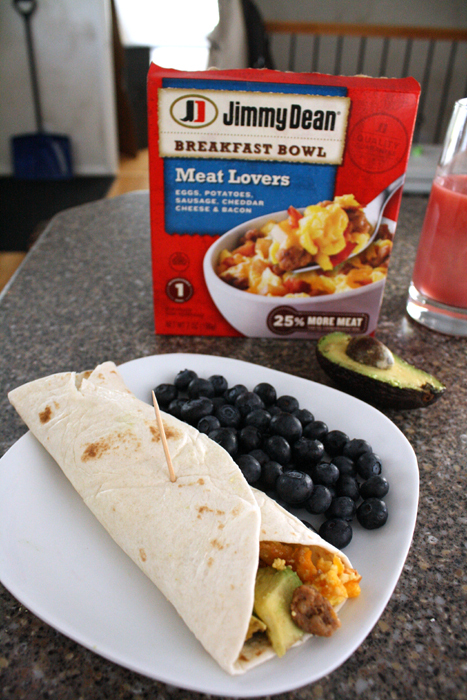 I’ve tried Jimmy Dean breakfast sandwiches before and liked them ok so I was intrigue when I was given the chance to test out the Jimmy Dean Meat Lovers Breakfast Bowls. I’m not going to lie I was a little wary about the microwavable nature of it all and eggs to boot but I went into it with an open mind and I can honestly say I really like these. Like, I’ve already returned to Walmart and picked up 3 more boxes after finishing my trial one liked it. It’s quite a generous portion size. A whole bowl is a bit more than I can finish and I eat more than most of my friends. My favorite way to have it is to put half of it in a tortilla with some avocado and a side of fruit. It’s the perfect amount and I can have it ready to eat super fast. I just throw the left overs in a ziplock bag for another day. I get two meals and most importantly I’m not ravenous and eating cookies and anything in site at 2pm when i realize I’m starving. I’ve been going to weekly appointments and everything seems good and on target. I’ve been eating less (as I mentioned) forgetting breakfast (hopefully that will change now) and then just feeling full faster. Plus I think I’ve got some heart burn going on so maybe we’ll have a baby with some hair! Even so, somehow I’m still gaining lots of weight. The doctor keeps calling it water weight ummm okay let’s hope I guess. My showers are over and we’ve bought the last of the stuff we for sure want before Toasty is here. It’s really weird to see baby gear all around our house. I did my first of what I’m sure will be many many loads of baby laundry. With the help of a friend and MANY hours my upstairs (the studio and bedroom area, basically where I spend 90% of my home time) has been totally reorganized and sorted and room has been made for Toasty both in my work area and in the ginormous closet (it has a window, it’s totally and upgrade from what Harry Potter lived in). Toasty is still a crazy moving machine. He loves to camp out right under my ribs. I don’t believe the whole “they slow down” near the end thing. I didn’t think it was possible but I feel even hotter. I’ve been outside in a t-shirt and waking up crazy hot at night needless to say sleep has been crummy. My doctor is out of town the next two weekends so I’m hoping and praying Toasty does not decide to come on one of the days he’s gone. I’ve been getting really anxious about recognizing that I’m in labor. Everyone says “oh you’ll know” but I have a crazy high pain tolerance. You know when you say I hope it isn’t broken and everyone says “you’d know if you had a broken bone” well I’ve had at least 3 broken bones that I didn’t know were broken until one I went in 2 weeks later because the bruising didn’t go down and two when I had X-rays for other things and the doctor asked when I broke it before since he saw a healed break (umm yeah I didn’t know it was broken before). So if you have any non-pain related descriptions of labor and contractions I’d love to hear them. But most of all we are all getting so excited to meet this little guy. It’s really fun to see Daniel get more and more excited every day! Thanks so much for Jimmy Dean for sponsoring this post and helping me get back on the breakfast wagon. I am definitely a new fan of the Jimmy Dean Meat Lovers Breakfast Bowls. Make sure to check out facebook, pinterest, twitter, and instagram! Those breakfast burritos sound so good!! I’ll definitely have to try them asap!! What a great idea to make a burrito out of the breakfast bowl! Totally and upgrade from Harry Potter. I giggled really hard! These look great! I can’t wait to meet that baby! I would have NEVER thought about that! What a great idea. Thanks for sharing. So happy and excited for you! Pray you get along as well as Stacey – 2 hr labor and delivery! I would love to tell you noon pain ways to know you’re in labor, but I had a scheduled c section. Olive was breech and apparently I had been having braxton hicks contractions for months and never knew it. I only found out about my contractions when they hooked me up for monitoring and tild me I have having contractions…. I’ve never thought about using the Jimmy Deans bowls this way! My family LOVES breakfast burritos, so I definitely will be giving this a try. Thanks for the idea! That looks delicious. I need to make these for hubby. I love the pregnancy update also. All of these Jimmy Dean posts are making me crave breakfast for dinner! I’ll need to add these to my grocery list for sure! 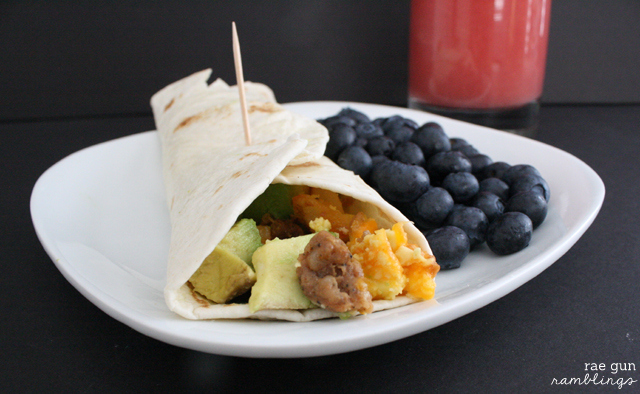 Breakfast Burritos are our favorite! I love making them and putting them in the freezer. I’ve never put avocado in them before, I’ll try that next time. Yummy!!! ANd the sneak peak of your maternity photo is SO cute!! I love breakfast burritos! It is one of my all time favorite breakfast options. This is such a simple way to make them… love it! MMM! This looks yummy! I wouldn’t have thought about putting it in a tortilla! And I love the pregnancy updates! You’re getting so close! This looks and sounds fantastic! 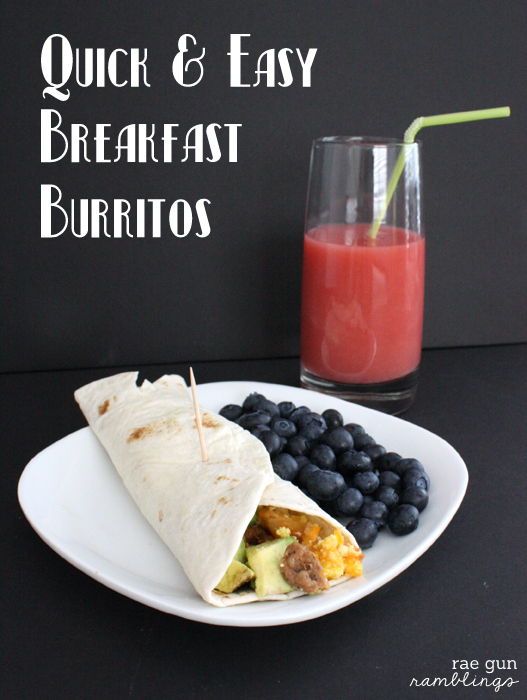 Love the idea of a fast breakfast burrito! :) I can’t believe how close we both are. I too am nervous that I won’t know that I’m going into labor. I probably have a pregnancy nightmare every night… I hope my eating slows down soon. I’m 100% starving all the time… I need one of the burritos, stat. lol. I am so excited that you hit the 37 mark! My daughter was born when she was 37 weeks – and honestly it was so nice not have to wait three more weeks to meet her! 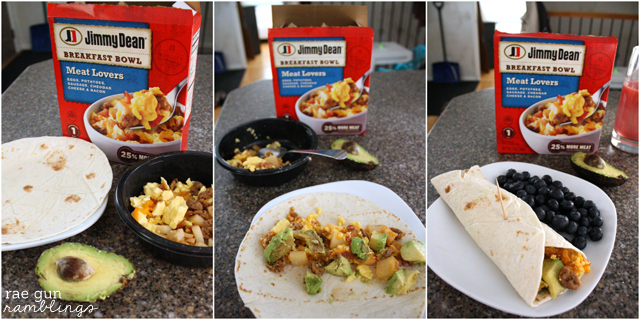 I love Jimmy Deans and their breakfast sandwiches – I have not yet tried the bowls so I for sure need to – love breakfast burritos! What a great idea I too wouldn’t have thought of that. Great way to mix up an ordinary breakfast bowl!